We’re now well into the football season, but at this time of year we’re not only thinking about our favourite teams’ successes, it’s also about upping our game in FIFA 17. That means to help you be a better player for FIFA 17. The below are tips. EA Sports has worked hard to revamp some of the set-pieces for FIFA 17 and you need take advantage of them. Keeping possession from throw-ins or goal kicks will allow you more opportunities to score goals. The same goes for making the proper judgement in terms of scoring free kicks both direct and indirect. There is a significant ramp in ability for the goalies in the game. It’s a complete change this year, as the keepers are suddenly really good. Power your shot up within the area and tap shoot again to execute a low powerful shot. Whether you’re more familiar with the classic 4-4-2, feeling more Spurs or Arsenal with a 4-2-3-1 or even going a little more continental with 4-3-3, there are so many formations to take into consideration. But in order to be a FIFA pro, you’ll need to know all of them. 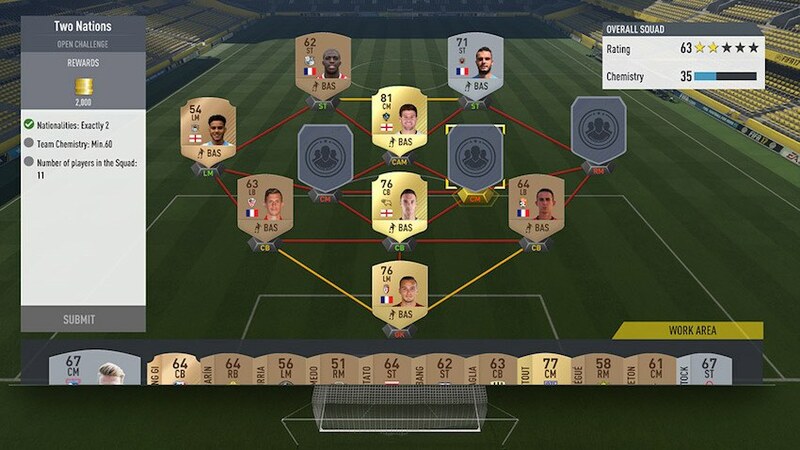 You should be able to play at least 2-3 formations at a high level to consider yourself a top tier FIFA player. Before you make a play for the goal, it’s best to think about your strategy. Once you’ve got it in your head, make sure not to deviate from it, especially when you’re on the defensive. When defending you need a plan or a system in order to overtake possession. You have multiple choices regarding how you defend, but make sure you commit to that style. Physical play has been given quite the overhaul in this year’s FIFA, from the way your teammates create space to the way you’ll jostle with the opposition for the ball. Quick one touch passing seems to be the way to go this year. Always try to play backwards before executing the killer ball to your ST’s as well for more success. Don’t be concerned about passing backwards before then pushing forwards. Being able to stay calm and collected in all situations [is key], whether you are finishing a 1v1 or in dire need of a goal-line clearance from the defensive back line. If you want to improve your record over the long haul then your level of patience all over the pitch will be relevant, especially in higher divisions. And don’t forget to keep practicing. Hope these tips can be helpful to you. It’s general that the goal of playing FIFA 17 is to score. 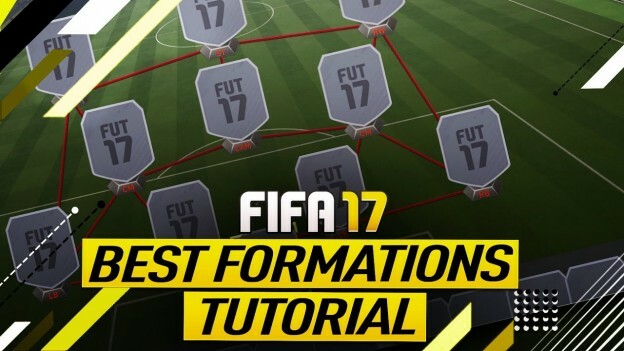 We’re here to give you some tips on the best formation to score goals with in FIFA 17. There are a wide variety of options, but the recommendations in this article should give you a good place to start. If you’re looking to score goals we recommend the 4-3-3 Attack formation. The 4-3-3 Attack formation gives you great offensive potential without spreading your players too thin. You can work the ball up the midfield and watch your attackers so you know when they go on a run, allowing you to get the ball over to them. The goal with this formation is to spread out the defense enough that you can punch a hole right through to the goal. It’s ideal to place your top three attackers on the top; your star player who has the best chance of scoring in the middle; the faster attackers with great passing ability on the wings so they can provide a good setup when you see a chance to break out; a central attacking midfielder (CAM) with a high work rate to be placed under the middle striker. Likewise, two center defensive midfielders (CDM) below the CAM. This placement allows you to move the ball away from midfield and push your offense accordingly. With your attackers spreading the defense out, this gives you a great chance to take advantage of any holes that open up in the defense. With your formation setup and ready to go, all that’s left is to adjust the instructions tab accordingly. Place the left wing and right wing to Drift Wide/Get Behind, middle striker to stay central/get behind and both CDM to be set as Aggressive Interceptions. Set your tactics to possession and you’ll be ready to make the most of the goal-scoring formation. Owing to an overhaul of the set piece system, a lot of gamers are having trouble with taking penalties in the new football game. 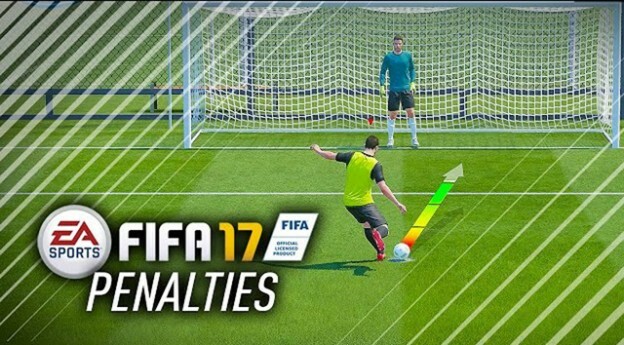 Here are top tips for taking penalty in FIFA 17. In the new game the run up is responsible for the amount of power and spin you can place on the ball for your penalties. We reckon the new penalty system is 30% run up, 30% placement, 30% power, (the extra 10% is luck), so sort out your run up. As well as changing the angle you approach the ball by moving the right analogue stick left and right, you can also move to take a longer run up by pulling the stick backwards. This is really important as a penalty taken with a longer run up generates more power. Once you’ve given your player the ok to start running with the left stick, you can use the triggers to speed up or slow down how fast they approach the ball. If you want your player to slow down, hold LT/L2 for the duration of the run up. A quick tap of LT/L2 also makes your player stutter if you want to give the keeper the heebie-jeebies. If you want to speed up your penalty and increase the power with which you strike the ball, hold RT/R2 for your penalty. You’re able to change the direction of where you want to put the pen with the left stick the entire time your player is doing their run up, but we humbly suggest you pick one direction and stick with it. Once you do, do not put that left stick further than 45 degrees in the direction you want. It is very easy to pull your penalty wide with FIFA 17, so if you want to send it left at right, don’t send it more than 45 degrees. If you simply tap the shoot button on your penalties, you won’t generate enough power to send the ball home. For a decent low penalty aim for a little over 1 bar of power with the shoot button. Send your penalties top bins aim for just over 2 bars of power. More practice will make you get used to the new system and how you can take a perfect penalty, just the way you want it. EA Sports finally announcing that it will be available for download on PS4 and Xbox one on September 13. Gamers can get their hands on a copy of the game on September 29 but will be able to download a demo before now. And there are 12 playable clubs in FIFA 17 demo! So here is the question – how to download? Here are two different but a little similar ways for PS4 and Xbox one. Download the free demo when option appears. The first two are the same steps with PS4. So here are two points to be stressed. Check the download progress in “My games and apps” section. Do you expect to download? Utill its release, we just wait. Most people that play FIFA 17 want to do their best. However, simply desiring to become a good player is not sufficient. 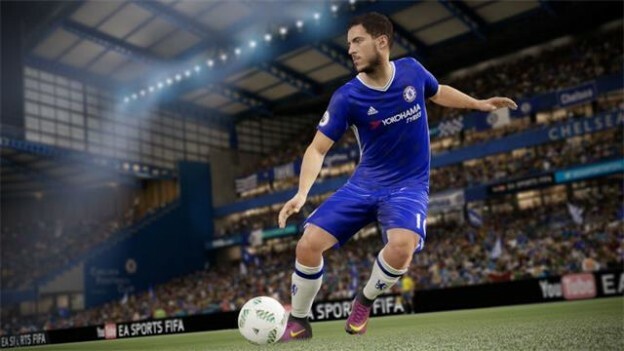 Here are some tips and tricks to help you become a better FIFA 17 player. Different levels of expertise require different levels of footwear. If you are just starting out, choose cleats made from synthetic materials or plastics. However, if you have been playing for a while, metal cleats will suit your skill level more. Whenever you are forced to pass the FIFA 17 ball, you shouldn’t automatically assume that you will not be needed in the play. Instead, trail the FIFA Ultimate Teammate you passed the ball to in order to find the best position for you to assist him. Good players know when to pass the ball back. Scan the field for an open player if you find yourself boxed in. This allows several seconds before the opposing FIFA Ultimate Team crosses the field, so the risk of losing control of the ball is lessened. Make sure your FIFA Ultimate Team mates are on the same sheet of music as you and can anticipate your intentions. By knowing when you are about to act, they can make sure to be in the right place to respond. You might cross the ball in one direction for a couple of plays only to go left on the third try. If you end up at midfield, keep an eye on what transpires on each end of the field. Remain prepared as a ball can come suddenly at you from your left or right, and you might then need to pass it quickly to the opposite side. You need to be aware of who is open and where defendants are all the time. A competitive spirit is essential for making the cut on a good FIFA 17 FIFA Ultimate Team. Never give up, be willing to run across the entire field, aid your FIFA Ultimate Teammates, and generally show a good attitude. The coach will be impressed by both your willingness to work together and your mental toughness. After FIFA 17 practice, spend a little time taking penalty kicks at the goal. This will train your mind to focus in on this penalty kick right after a foul. Learn a few kicks that you can do when you get a penalty kick and keep practicing your kicks until they go the way you want them to go each time. Now that you know a bit more about being a better player, it is now time to test your skills. Take time to practice and show your fellow players what you’ve learned. If you practice together, the entire FIFA Ultimate Team will get better, and you may possibly win a game. Read how to improve your defending skills on FIFA 17 with these tackling tips. 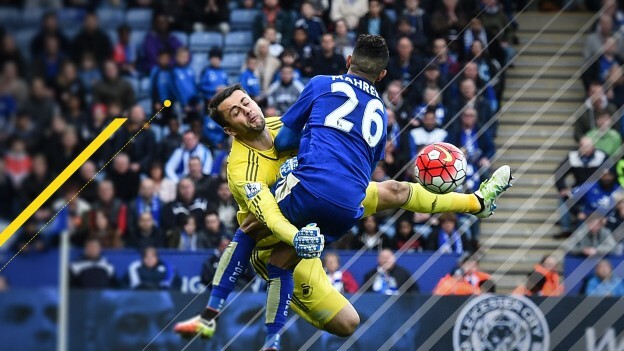 If you learn these tackling basics, it will help you to keep more clean sheets and stop conceding as many goals. Tackling on FIFA 17 is all about timing and patience. Even though it’s fun to smash the opposition with a crunching tackle and it’s tempting to try and win the ball back as soon as possible, the simple fact is, it’s better to be patient and pick your opportunities to tackle carefully. Defending is an art. With the new frostbite engine being more intelligent, it is far more likely that tackling from behind will be punished by refs. It is very rare that your player will be sent-off if you slide in from the front or the side of the player you are attempting to tackle. As we have said, being patient is probably the most important factor in tackling. This will become more natural and something you won’t even think about after enough practise. When you are running next to a player, this is a good time to try win the ball, make sure you are level with the player or ideally just in front of him before attempting the tackle. When the opposition is running with the ball, tackling from the front is the best way to win the ball without risking a caution or worse, a red. A great way to be patient is to jockey your opponent and then quickly let go of the corresponding button and then quickly launch into the tackle. Your opponent won’t be expecting this. Midfielders who aren’t renowned for their tackling skills are far less likely to be successful in the tackle than the likes of Kante or Matuidi so make sure you’re taking this into consideration. Even if you do win the ball using players like Ozil, their tackle won’t have enough force and the opposition will still probably pick up the ball. This is a question you need to ask yourself regularly. More often than not, the risk of sliding in and possibly missing the tackle is heavily outweighed by the fact that there is a fairly big chance you won’t be rewarded with possession of the ball. The reason we are more cautious of flying into tackles, especially on game modes such as FUT or when playing pro clubs, is because the VP players are quicker and obviously controlled by humans which means they are likely to be closer to each other so even if you do win the ball cleanly there is a high chance one of their other VP human controlled players will pick up the loose ball. We hope you found these FIFA 17 defending/tackling tips useful and you can put them into practice and help to stop conceding as many goals on FIFA 17. 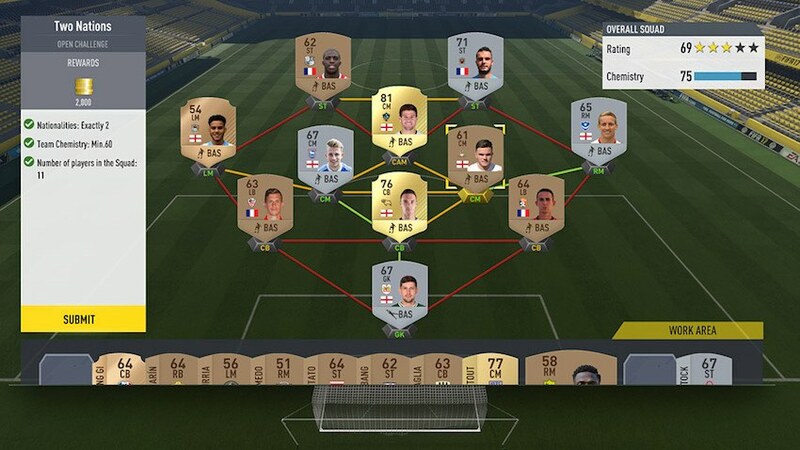 FIFA 17 Squad Building Challenges is NEW to FUT 17! Users will be able to complete specific challenges for various rewards including packs, fifa 17 coins and players! The first time you select FIFA 17 Squad Building Challenges a tutorial will appear detailing the process of how to complete your first challenge group. Once this tutorial has been completed, you will have three different options: Basic, Advanced, and Leagues (these will be updated throughout the season). Bigger unlock rewards will be available when challenges are grouped together! At launch, select one of the Challenges that are available to you to work towards completing. The example above is of an Advanced Challenge called “Two Nations”. This Challenge requires users to build a starting XI consisting of players with exactly two nationalities and a minimum team chemistry requirement of 60. In order to complete the requirements of a challenge, build a team using items from the FUT Transfer Market and players you already have in your club. 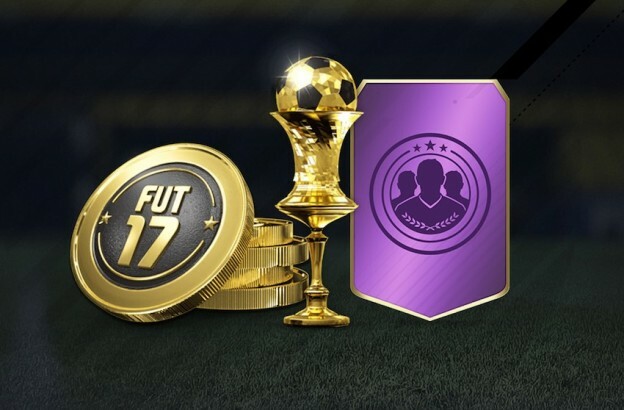 Each pack you open in FIFA 17 Ultimate Team may contain items that will help you get closer to fulfilling certain challenge requirements and unlocking rewards! When you have created a team which fulfils the requirements of a particular challenge, you will be able to submit it and receive certain rewards. 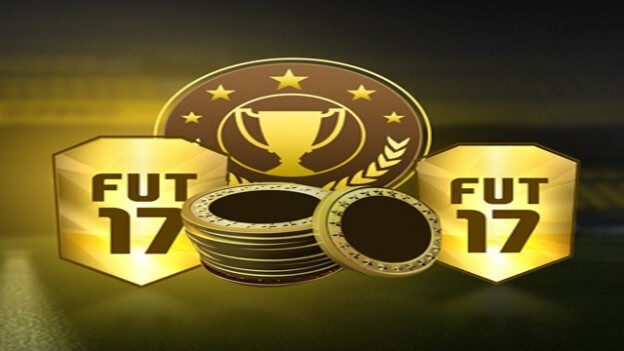 Once you submit a challenge all players selected within that team will be forfeited, so think carefully about which players you include in FIFA 17 Squad Building Challenges. 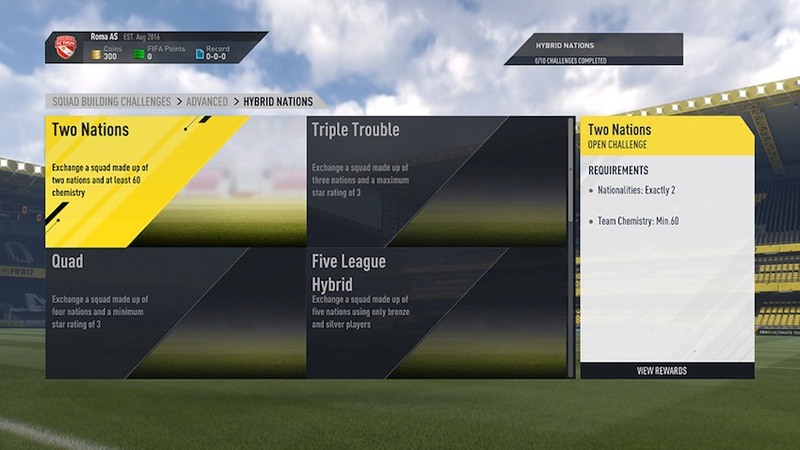 Certain FUT 17 Squad Building Challenges will be part of larger challenges called Groups. When you complete a Group challenge you will be rewarded with more in-game rewards. We recommend aiming to complete these as we’re expecting the best rewards to come from completing Groups! Let us know your thoughts on these new FIFA 17 Ultimate Team Squad Building Challenges and how you think they will impact FUT 17! 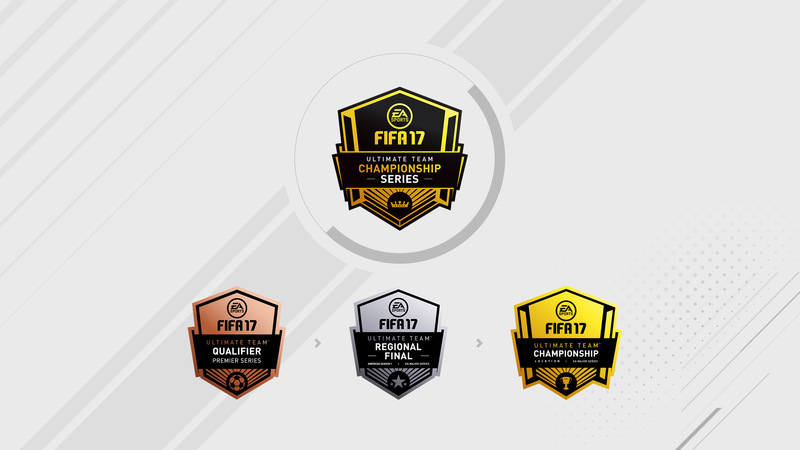 The FIFA 17 Championship Series for FUT allows you to qualify, enter regional finals and the Ultimate Team Championship to win amazing prizes (Maybe you can get fifa 17 ultimate team coins)! Now let’s talk in details. Learn how to play it and jump to the next level. FUT Champions is the all-new way to compete in FIFA 17 on the Xbox One, PlayStation 4 and PC. It rewards the best players with amazing prizes. Each week, qualify for the Weekend League and compete for in-game rewards. Consistently showcase your skill and climb the Monthly Leaderboards to earn in-game rewards and the opportunity to take your game to the world stage. Online FIFA Ultimate Team Tournaments are now part of FUT Champions. By winning a daily knockout tournament you will earn rewards and a spot in the Weekend League. Dynamic squad entry requirements and unique rewards keep the Daily Knockouts fresh. If you are already at the top in FUT Online Seasons then your weekly success at the highest levels will give automatic access to the coveted Weekend League. 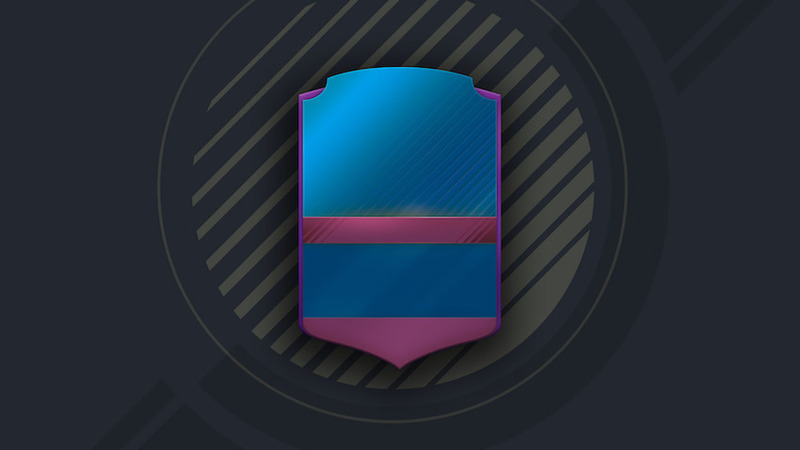 You can now compete in daily knockout tournaments which along with bringing their own rewards, which takes place between Monday and Thursday, with the Weekend League running across Friday, Saturday and Sunday. You only need to win one of the daily tournaments across the week to earn entry at the weekend. When the weekend begins, the clock starts for FUT Champions. You can compete to win as many games as you can from a set number of matches and push for higher tiers and bigger in-game rewards. From Bronze to Elite, everyone who competes in the Weekend League has a chance to earn in-game rewards to help build their club for the next competition. Consistency is the key in the FIFA 17 FUT Champions game mode. A strong individual weekend result is only the beginning. Consistent Weekend League performances help you move up the Monthly Leaderboard tiers, unlocking some of the best in-game rewards in all of FUT. Play well enough and you may earn special FUT Champions items to help you show off on the pitch. Monthly Leaderboards feed into the FIFA 17 Championship Series which culminates next summer with regional finals, allowing players to compete for a $1.3M Dollar prize pool. 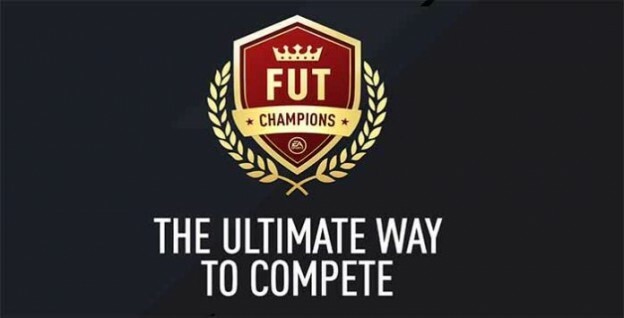 For the best of the best, FUT Champions may be your ticket to real world competitions and prizes, with the Regional Monthly Leaderboards on Xbox One and PlayStation 4 feeding the EA SPORTS FIFA 17 Ultimate Team? Championship Series and the FIFA Interactive World Cup. Climb the ranks and qualify for the biggest competitions in EA Sports FIFA’s history! 1. Internet connection and EA Account required. Must be 13+ to create an account. 2. Qualification for the EA SPORTS FIFA 17 Ultimate Team Championship Series and the FIFA Interactive World Cup is only available to eligible players on Xbox One and PlayStation 4. No other platforms and consoles are supported for qualification. Residence in eligible countries required. Final terms and structure subject to change. The FIFA 17 Championship Series for FUT is available to eligible users on the Xbox One and Playstation 4 platforms only. You must register for the competition. Compete within your region across the two qualification seasons to earn your way in. Details on how to register will be made available in the near future. 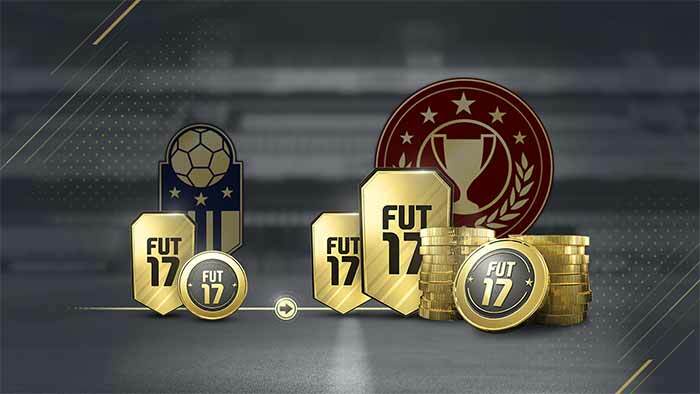 Performing consistently at an elite level in FUT Champions in FIFA 17 will earn you major in-game rewards, but that’s not all. FUT Champions may also be your ticket into the Ultimate Team Championship Series, with the eligible players at the top of their region’s Monthly Leaderboards qualifying for the Regional Finals. In addition to FUT Champions qualification, there may be a number of live in-person local competitions where the winner earns a wildcard seat at one of the Regional Finals. The Ultimate Team Championship Series’ three regions and two seasons make for six Regional Finals. The Regional Finals are all EA Majors, and players who qualify will be flown in to compete live. The 32 best Ultimate Team players in the world will come together at the Ultimate Team Championship. The multiplatform competition culminates in a two-legged fixture, played across the competition’s two platforms, and ultimately crowning a champion. 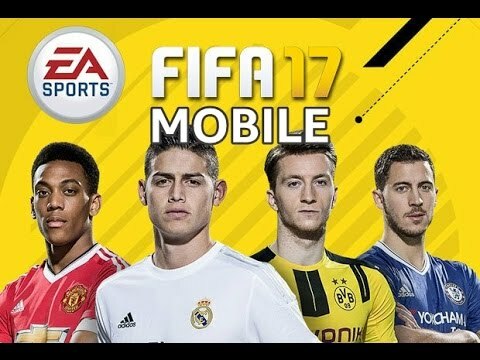 FIFA 17 Mobile Guide for iOS and Android devices: description, details, new features, upgrade, compatibility and how to download. FIFA Mobile is played by millions of players around the world. 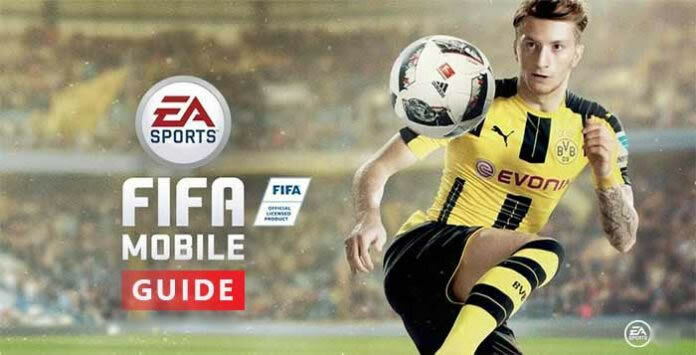 Find out in this updated guide every single detail of the new version FIFA 17 mobile. 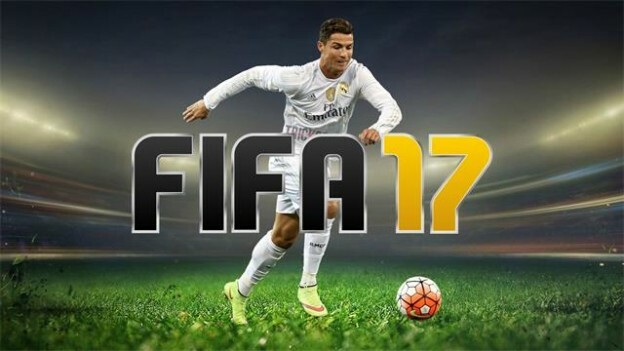 FIFA Mobile, also known as FIFA 17 Mobile, is the new game title of the FIFA franchise for mobile devices. Earn, trade and transfer superstars like Eden Hazard, Marco Reus and Anthony Matial to create your own fantasy team. Choose your play style, formation, kits and more, then balance player chemistry for the strongest squad compositions. Choose from over 15,000 players from over 600 licensed teams and go to battle against other players from real leagues in real arenas from around the world. Recreate challenges from current live-event football matches, too, with Dynamic Accomplishments. FIFA 17 Mobile will be named FIFA Mobile. FIFA 16 Mobile was first named FIFA Mobile as well. They later changed it, to make the difference between FIFA 15 NS and FIFA 16 Mobile clear. FIFA Mobile is a new app. It is not an update such as FIFA 15 New Season. There will be no more support for FIFA 16 Mobile and FIFA 15 New Season. FIFA 17 Mobile will be worldwide released in September 27 or September 29. The new game is developed by Electronic Arts in Vancouver and not by the Romanian division like in previous years. This game is only available for iOS and Android devices. It doesn’t work for Windows Phone devices. The requirements for FIFA Mobile were not announced yet but according to a Electronic Arts source, most of the players will be able to play it. 2) Search by ‘FIFA Mobile’ and download it.